Patos Island Passage, oil on canvas, 28 x 36 inches, $699.00 plus tax, shipping, and handling. 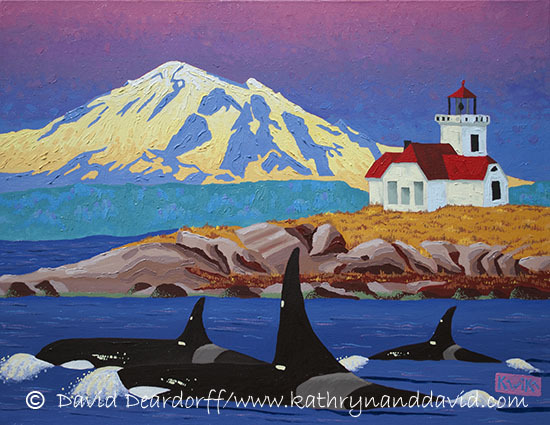 A small pod of Orcas pass Patos Island heading north into Canadian waters. Patos Island is in the Salish Sea very near the Canadian border. It’s west of Bellingham, Washington, with Mount Baker in the background.